This medical centre has been established for over 30 years. For the past 7 years it has been run by a GP couple who are UK trained.They are also planning to open a new practice a few kilometres away which will be a purpose built standalone building. The new practice will have 4 consulting rooms and there is the opportunity for GPs to work at either practice or split their time between both practices. Both surgeries are equipped to an excellent standard. They are the only practice in that suburb and cannot meet patient demand so new Doctors should expect to build up a patient base very quickly. The GPs currently work Mon- Fri 9-4pm and Sat 8-10.30am, there is flexibility re hours and the opportunity to start earlier or finish later if that is the GPs preference. It is a predominately bulk billing practice with the opportunity for some private billing. You will be supported by a practice manager, qualified nurse and admin staff. 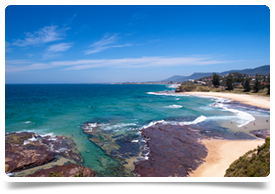 The Central Coast is a region of New South Wales, Australia, lying on the Pacific Ocean about 90km north of Sydney. The practices are in prime locations, they are 1.7km and is 6.7km to a beautiful beach. There is easy access to great schools, shops and amenities. You can enjoy all the benefits of living in a beautiful coastal location, with Sydney easily accessible at the weekends (without the exuberant Sydney house prices). The region is a network of towns that have been linked in recent years by expanding suburban development. The main cluster of the region includes Gosford, Wyong, Tuggerah, Lakehaven, The Entrance, Terrigal, and Woy Woy.